Subjects and Predicates: Circle the part that is missing. Subjects and Predicates: Circle the subject and underline the predicate. Types of Sentences: Declarative or Interrogative? 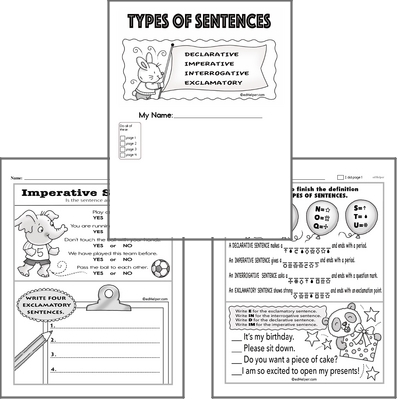 Types of Sentences: Declarative, Imperative, Interrogative, or Exclamatory?